It is always great to get out of Kathmandu Valley. The Dabali is an open space initiative from Jiwan Kshetry and Indra Dhoj Kshetri with a well-stocked library opened just two months back in Chitwan. Over the weekend, it was wonderful to interact with minds that are not stuck in what has gone wrong but what can be done right as I discussed my book Arthat Arthatantra with the audience. Narayanghat evolved as a city built by entrepreneurs and opportunity seekers. Different writings suggest that the city came into being just six decades ago when Newa traders from Bandipur settled down here. This city used to be a gateway for goods traveling to west Nepal when Bandipur traders brought goods from border town of Thori in India. Once the capital of Tanahun was shifted from Bandipur to Damauli, the Newa traders started to take further interest in Narayanghat. Chitwan is currently the most bustling area outside Kathmandu, with economic activities far ahead of the other former industrial cities of Birgunj or Biratnagar, tourist centre of Pokhara or the upcoming city of Butwal. While definitive indexes are not available on the ranking of cities and economies, our initial research shows that Narayanghat still leads the pack. Poultry industry is big in the Chitwan region, and so are other forms of agriculture. The development of Chitwan National Park as a tourist destination along with a well-functioning airport has contributed to connectivity. The two medical colleges along with the Cancer hospital have made Chitwan a medical tourism destination too. Many medical patients from different parts of the country come to this region. “Government doles, political protection don’t create better cities or towns; people do.” Prabhakar Rana, Chairman Emeritus of Soaltee Hotel, used to cite the example of Narayanghat and the rest of Chitwan area’s development compared to Bara and Parsa that received so much more in government funds. Gurcharan Das in his book India Grows at Night gives the example of how Gurgaon, the satellite city next to Delhi grew at a phenomenal pace compared to the ones planned by the government such as Faridabad and Ghaziabad. Therefore, people who think that the cities that get much of federal budgets or government attention do well may be misguided. It is the cities that have the least government interference that do well, as entrepreneurs look for least interference from the government or politicians. Hetauda is one such example where the government had diverted a lot of its attention. Regrettably, Hetauda now remains nothing more than a transit point. Another example is how Mahendranagar with an airport built for hunting by the royals has been relegated to a transit point—compared to Dhangadi, which is again built by private parties. Despite being a hotbed of politics, Chitwan has seen the least disruptions—and businesses there feel secure. Multinational companies have set up factories and tourism has grown. Even during the worst days of insurgency, this area did not face shutdown or similar problems like other cities did. The relocating of businesses from Birgunj to Butwal and from Janakpur to Bardibas shows how businesses are not interested in the discourse of ethnicity or politics. Business houses and entrepreneurs want to do businesses and will shift to areas they perceive as safe and secure. Politicians and business organisations need to understand that bad news breeds negative perception which ultimately is detrimental for business. Many a times we feel that the government is the one to build up the ecosystem for businesses, but in reality it is the entrepreneurs who build it. Governments tend to build eco-systems that do not create a level playing field. These unequal eco-systems foster rent seekers who, contrary to belief, never transform into entrepreneurs. Far west Nepal itself is facing challenges in its development. Developmental organisations and NGOs are abundant in the far west, and this only fosters rent-seeking behaviour. On the other hand, in Chitwan, we see far less of the rent-seeking organisations that try to throttle entrepreneurship, as this behaviour contradicts the mind-set in Chitwan. 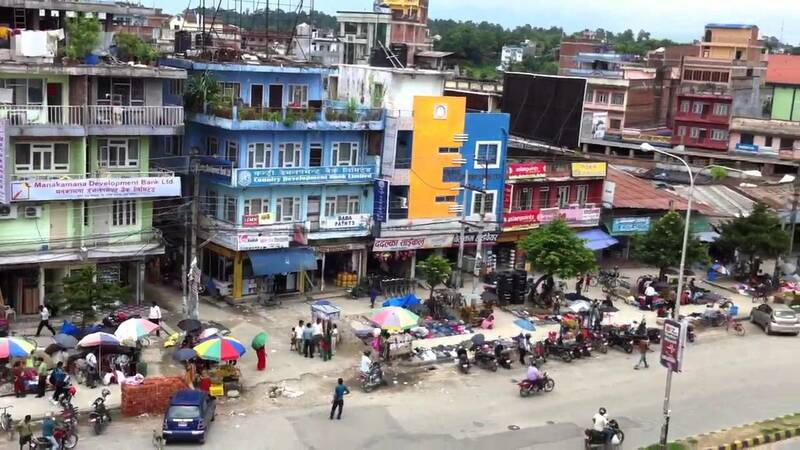 With the debate on what needs to be done in Nepal relating to federalism, perhaps a case study on development of cities like Narayanghat and Butwal will be good to learn exactly what makes such cities centres of business. If there are good businesses run by entrepreneurs then there are more jobs created. Local job creation means there are more young people wanting to get education and training that fosters the business of education. Like in the hospitality industry, where location is the keyword, it is important to understand the key issue of location and connectivity when developing cities. Hopefully, lessons from Narayanghat will help to build better cities and towns in Nepal. CHITWAN: The controversy over construction of a city hall to be built by Bharatpur Metropolis has finally been settled. There was a strong argument going on whether to build the city hall on a land owned by BP Koirala Memorial Hospital or on the premises of a guest house in Bharatpur-10. The Nepali Congress party had objected the metropolis’ decision to build the city hall on the land owned by the hospital while the local residents protested the construction of the city hall on the premises of the guest house. According to metropolis mayor Renu Dahal, the city hall will be built on 4 bigha 4 kattah (6752.96 sq meter) land owned by the Chitwan District Coordination Committee (DCC) office in Bharatpur-10. DCC chief Krishna Kumar Dallakoti said that DCC and its property handover committee have apprised the Ministry of Federal Affairs and General Administration of granting land to the metropolis for the construction of the hall. Mayor Dahal informed that the Department of Urban Development and Building Construction (DoUDBC) has already allocated Rs 500 million for the construction of the city hall. It has been reported that the construction of the city hall with the capacity to hold 2,500 persons, along with an additional small hall will cost an estimated Rs 2 billion. Mayor Dahal said, “We are building the city hall with modern facilities for the first time in Nepal,” adding that the construction work would be carried out once ministerial decision gave the green light. The mayor also informed that a team comprising general director, engineer, and specialists at DoUDBC would conduct an on-site inspection this week.